You know how we said spring had sprung? Um…. I think we might have been a bit premature. I got really wet both directions on Friday. I had rain gear but it was not raining when I left so I thought I’d risk it. On the way home I thought “what are the odds that it will start raining on two trips in a row.” I didn’t think to ask about the odds of snow. Of course by the time I decided it was probably prudent to gear up, it no longer mattered. It’s only water, right? 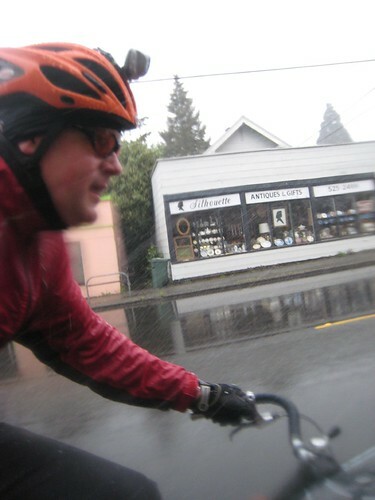 This entry was posted in bikes, Commute, weather and tagged bikes, Commute, seattle, seattle weather smackdown, snow, weather. Bookmark the permalink.